St. Luke’s Episcopal Church, Cove Road at State Road A1A, 5150 S.E. 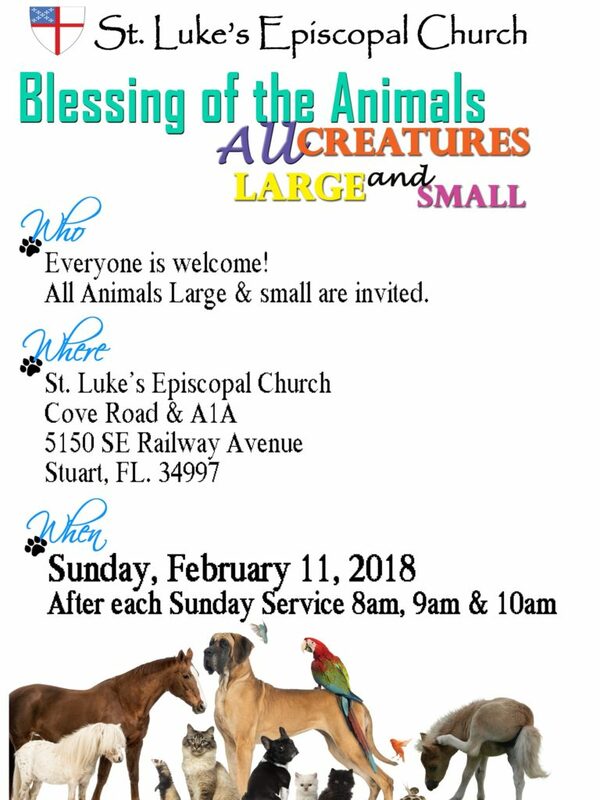 Railway Ave., Port Salerno will have its Blessing of the Animals after each service – 8, 9 and 10 a.m. – on Sunday, Feb. 11. All animals – large and small – are welcome. For more information, call 772-286-5455 or go to www.stlukesfl.org. After the 8, 9 and 10 a.m. services.